You ask a lot from your data center. With the latest energy-consuming, computer intensive applications and increased scaling needs of cloud workloads, it is expected to perform at high levels. And even when you're trying to be green, your energy costs continue to rise. 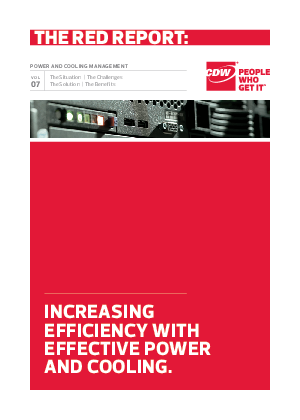 These factors are shaping how new data centers are being designed and address the power and cooling problems associated with highly dense server environments. There are a lot of new technology options out there, and you need help deciding how to best manage your data center proactively.